Bringing you the best basics since 1989. For the past fifteen years, American Apparel brought quality basics to consumers. Delivers a fresher style. Our aim is to design relevant pieces that make a bold fashion statement, saying something about who the wearer is and what they believe in. The B&C Collection is based on a desire for all things new, curiosity and fascination for creativity. Every garment in the collection should evoke a promotion, a campaign, an event or a message… and the creative work lying behind them. Be inspired! The most successful babywear range in Europe. Babybugz is not only irresistibly cute but also made with care for tiny ones and the planet they will grow up in. Europe‘s most colourful bag brand puts the 'fun' into funky bag design, delivering a comprehensive collection of modern, on–trend products at budget–friendly prices. BagBase: 'Put colour in your life'. Fashionable yet functional tailoring designed specifically for staff in the hospitality sector, to ensure your staff will always 'serve in style'. Expertly blending catwalk style and decoration–focused design, Beechfield's 'Retail Ready' headgear will enhance any corporate, leisure, promotional, school or team image. Think Headwear: Think Beechfield! Bella + Canvas is more than just tees. It's about being better. Fitting better. Looking better. 100% combed–and–ring–spun cotton isn't the cheapest way to make a tee, but it's the best. It's what you find at your favourite retail stores. Retail quality. Basics that are anything but basic. A thoroughly modern collection of premium shirting with a business casual aesthetic. For lovers of colourful clothing Colortone offers a range of eye-catching T-Shirts and Hoodies using great quality products. A weathered-looking range of Tees, Sweats and Hoodies in a diverse color palette. The garment dyed clothing flaunts the style of the moment with the look and feel of something vintage and cherished. 'Your safety at work'. The complete solution to workplace safety. A global PPE innovator offering guaranteed comfort, quality and protection. The most renowned name in chefswear. For decades Denny's have been synonymous with quality and innovation. The world famous brand of hardwearing, functional and value for money workwear. A brilliant range of high quality range of hoodies, jog pants and varsity jackets available in vibrant colours. FDM offers a perfect balance of quality, performance and value. Ideal for the printwear & promotion market. Motorsport inspired garments that feature distinctive contrast panelling in popular team colours. Sure to be a hit with race teams and fans alike. A brand steeped in tradition, offering a comprehensive range of garments. A selection of retail ready underwear styles packed in retail ready packs. Represents unbeatable value in the team wear sector - outstanding performance and superior comfort in a great range of sporting colours. It's all about colour, styles and sizes. Choose from our exceptional selection of T-shirts, sweatshirts and polos. Cotton purist or performance fabric fan, you'll find the functionality and fashion you demand at Gildan®. By combining knowledge and experience from both workwear and extreme outdoor sports, Helly Hansen remains a trusted partner and supplier of performance outdoor workwear. Great quality, value for money collection of bags. Representing great quality and value for money for all your catering and hospitality needs. Great quality, value for money towelling products in a wide selection of colours. The schoolwear brand of choice that ticks all the boxes for schools and parents alike. A collection of shirts and polos for men and women that combine timeless styling with soft innovative fabrics in beautiful colours. Professional quality at a price that’s quite simply unbeatable. Designed and tested by chefs, so cut for maximum movement and supreme comfort. Is part of the global industry leading Madeira group, providing embroidery and decorative sewing threads. Wide range of full-colour image transfer papers and films for decorating garments and bags, TheMagicTouch and MagiCut are registered trade marks of TheMagicTouch Gmbh, Germany. Always respectful of the impact that manufacturing can make to both people and the planet, Mantis World offer Well-Made clothing, including the Superstar collection, which is carefully considered, responsibly produced and designed to be decorated. Retail quality, premium range of contemporary European design basics. Nike is changing the way people look at golf. It's style is unique, blending traditional designs with modern silhouettes, for an overall look that is progressive yet respectful of the game itself. Inspires with its quality focused corporate and lifestyle carrying solutions. From boardroom to classroom - you're guaranteed to "carry it off with Quadra!" Ready range collection of customisable blank badges to fit every need. Whether it's embroidered or printed. Proven to Work. 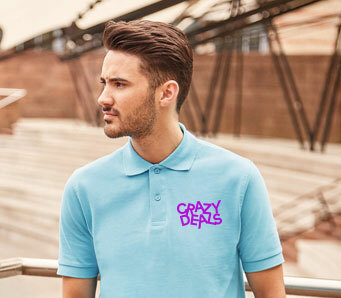 A comprehensive range of promotional and corporate clothing suitable for the great outdoors, at competitive prices from the UK's No1 outdoor brand. New for 2019 is the Contrast Collection of smart workwear styles. Winning teams. Think faster. Be prepared for the challenge ahead with a personalised performance team kit that gives ultimate comfort for maximum results. Competitions, training or team travel, stand proud together with sportswear designed to help you get out there and be the best. Great Quality, Great Value Apparel. Playground proof. Packed with technology for the rough and tumble of the playground. Regatta Originals encapsulates the unique Mancunian spirit. Each stitch of each design represents the pride, hard graft and creativity of this unique city. The range adopts the signature of the Manchester Worker Bee to drive home the heart of the brand. Colour & Choice, Rain or Shine. Events, exhibitions, roadshows or hospitality, whatever, wherever, you can trust Regatta's Standout range to make sure your team is dressed for the job. A range of jackets that offers maximum wearer protection against the elements, making them perfect for outdoor activities. The range is made with high specs and each item includes multiple functional features. A collection of performance jackets which are stimulating, inspirational and innovative. Result captures the essence of outdoor life today - and into the future. Is a new budget range of simple, durable, comfortable garments that offer great value for money. Each product is priced well below any other brand but with Result's assured quality. A well balanced mix of styles and colours - the collection has gone from strength to strength with each style offering its own unique look and feel. A comprehensive range of tough & durable products that reflect all that is required of high visibility clothing. Garments guarantee high levels of protection as all incorporate genuine 3M™ Scotchite™ reflective materials. Is a range of classically styled, contemporary, no nonsense outerwear from Result. Packed with reliable features, it is ideal for when out and about in the country or town. Biggest mix yet of winter hats, gloves and scarves in rich, bold colours. This practical range of knitted and fleece products offer a high warmth to weight ratio making them the perfect, lightweight yet snug accessory for the colder months of the year. Work-Guard by® Result provides a new look durable work wear range for all trades. Extra strong, technical and ergonomically co-ordinated. These comfortable styles offer high performance in a wide size range. All ensure the wearer a perfect companion, on and off site. The brand of choice for companies and organisations that recognise the value of a smart and consistently well presented team. Russell's corporate range of shirts, knitwear and corporate tops, has earned its reputation for setting the standard in innovation, quality and versatility since its launch in 2004. True quality, competitively priced garments available in men's, ladies' and kids sizes. A wide range of bags creatively designed for logo print, embroidery or embossing. Spiro blends the latest performance fabrics and cutting edge technology with designs that meet the rigorous requirements of the active wearer. Innovative product storyboards showcase how brand styles jigsaw together to form a colour co-ordinated unisex sports team or individual look with special focus on the superior quality of its renowned Cool-Dry® fabric. Sportswear that increases circulation and reduces muscle fatigue during exercise. Stylish fitness garments designed for optimal performance while working out. Fitness wear from Spiro. Peach soft, quick dry garments with high elastene content for comfort and exceptional elasticity. Technically advanced apparel for the retail & corporatewear market. Constructed for maximum durability and versatility, our waterproof gear bags are designed to weigh less and keep your contents safe and dry. A collection of best selling basics, based on leading classic and fashion products. A collection of good quality workwear basics offering exceptional value. 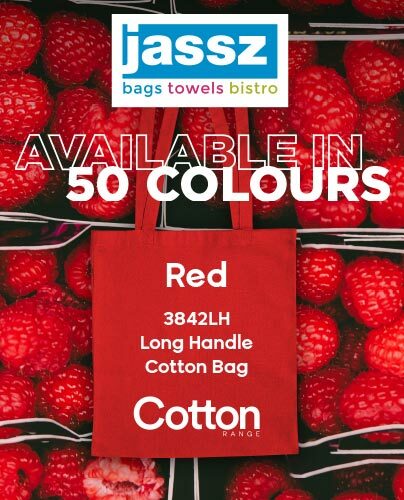 Big value bags for big volume promotions - Westford Mill is the home of budget - sensitive 'Bags for life'. Has been at the top of the digital transfer technology sector for over 30 years and are renowned for their innovative personalisation systems and wide range of support products. A comprehensive range of quality hi visibility safety and foul weather workwear at great value.